Illinois Aggravated Speeding Lawyers Fagan, Fagan & Davis have represented thousands of Chicago area motorists charged with exceeding the speed limit for decades. While the possible punishment for speeding in Illinois always revolved around court costs, fines, traffic school and possible effects on insurance and driving privileges, criminal penalties apply once speeds exceed 26 MPH or more over the limit. Aggravated Speeding is now either a Class A misdemeanor (like any misdemeanor criminal charge of a theft, battery or DUI) or a Class B misdemeanor violation under 625 ILCS 5/11-605.1. Under Illinois law 625 ILCS 5/11 601.5(a), aggravated speeding is a class B misdemeanor if a motorist exceeds the speed limit by 26-34 MPH. As an example, even traveling 71 MPH in a 45 MPH zone like the Dan Ryan Expressway through Chicago is now a criminal aggravated speeding traffic offense. Class B misdemeanors are punishable by up to six months in jail and up to $1,500 in fines, plus mandatory court costs. Illinois law set forth in 625 ILCS 5/11 601.5(b) makes aggravated speeding a class A misdemeanor if a motorist exceeds the speed limit by 35 MPH or more. As an example, 90 MPH in a 55 MPH zone like the Edens Expressway or portions of the I-294 tollway is a class A misdemeanor aggravated speeding traffic offense. Class A misdemeanors are punishable by up to 364 days in jail (just shy of a year) and up to $2,500 in fines, plus mandatory court costs. No one wants to see their criminal record impacted by a conviction for a speeding ticket. For most people, the thought is surreal. Insurance rates are likely to be affected, and while a suspension or revocation of your driving privileges is not automatic, other traffic violations either in the past or future make loss of driving privileges more likely. The good news is that there are ways to avoid a conviction. Any misdemeanor criminal offense in Illinois affords a defendant the right to trial by judge or jury, and aggravated speeding is no exception. While the right to trial is important, and a finding of not guilty is certainly desirable, an experienced and knowledgable trial lawyer is a must - not only to conduct the trial and navigate the rules of a trial, but also to help decide whether a trial is a real option. A realistic analysis of the risks involved and likelihood of success can only be determined by a lawyer who knows how to try an Illinois Aggravated Speeding case - we do. Court Supervision in Illinois is a sentence that specifically avoids conviction if the terms of the supervision order are successfully met. It's available either upon a plea of guilty or after a finding of guilty at trial. However, supervision is not universally available for Aggravated Speeding. Illinois law prohibits judges from applying a sentence of supervision in four circumstances: where the speed was measured within a highway-construction zone, school zone, an urban district, and finally, where a motorist has violated the Aggravated Speeding law in Illinois on any previous occasion. Supervision is a one-time, lifetime opportunity in this case, just like another common misdemeanor traffic offense, DUI. The consequences to a criminal record, in particular the impact of a supervision sentence on professionals or those pursuing a professional career, should be carefully considered. 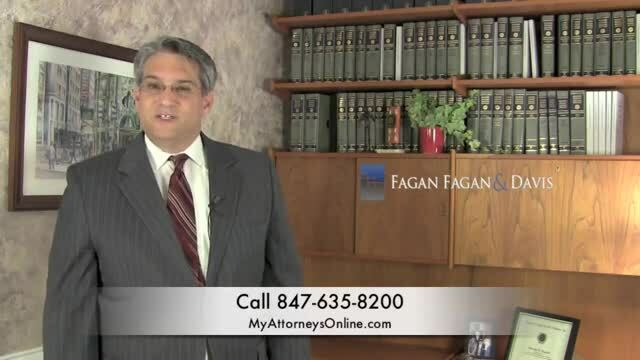 Other ways of resolving Illinois Aggravated Speeding traffic tickets are possible as well with a good lawyer - contact Fagan, Fagan & Davis now to see how we can help you.